The Aston Martin DB4 GT Zagato was introduced in October 1960 at the London Motor Show. It was effectively a DB4 GT, lightened and improved by the Zagato factory in Italy, by Ercole Spada. Initially the factory had plans to produce 25 cars, but demand was not as strong as expected and production ceased at the 20th unit. The popularity of the original DB4 GT Zagato has resulted in two subsequent waves of cars based on DB4s being rendered into "Zagatos" through the cooperation of Aston Martin and the Zagato works in Italy. They are known as "Sanction II" and "Sanction III" cars. Also, an unauthorised but lucrative private industry of modifying original DB4 GTs into "Zagato" replicas has arisen as well to meet market demand for high-quality Zagato recreations. Although the specification of the engine was changed and upgraded throughout their racing history, the Zagato predominantly featured a 3.7-litre aluminium twin-spark straight 6-cylinder engine with a 9.7:1 compression ratio, higher than the DB4 GT engine. The engine produced 314 hp (234 kW), and had a 0 to 60 mph (97 km/h) acceleration of just 6.1 seconds and a top speed of approximately 154 mph (246 km/h). Ercole Spada at Zagato transformed the DB4 GT into a smaller, more aerodynamic, super-lightweight car. Many steel components were replaced with aluminium ones. All non-essential elements disappeared, such as the bumpers. With the help of Perspex and aluminium components, more than 100 pounds (45 kg) was shed from the DB4 GT. Four of the original Zagato's chassis, №s 0191, 0193, 0182 (1 VEV) and 0183 (2 VEV), were built to a lightened DP207/209 specification especially for racing. The DP209 cars have a lower roofline, larger rear wings, a reshaped tail and a flatter, longer front end. The first competition outing of a DB4 GT Zagato was at Eastertime in 1961 at Goodwood. 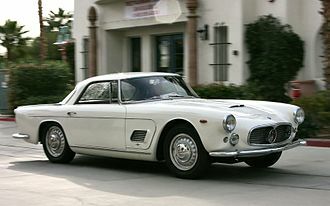 Driven by Stirling Moss, the car finished 3rd, behind an Aston Martin DB4GT and the winning Ferrari 250 GT. The most prominent DB4 GT Zagatos, affectionately known by the registration plates they share, 1 VEV and 2 VEV, which were both raced under John Ogier's Essex Racing Stable, with assistance from the Aston Martin factory. Both the Zagatos raced in the 1961 24 Hours of Le Mans. However a repeat of the 1959 Le Mans victory was not to be, with both cars retiring. In July 1961 at a British Grand Prix Support race, the Zagato had its first victory with 2 VEV taking the last lap lead from a Jaguar E Type. 2 VEV crashed badly at Spa in 1962 and was rebuilt to the lightweight DP209 specification. After a road accident in 1993, the car was returned to the 1962 specification. Chassis 0200 raced in the 1962 24 Hours of Le Mans; however, a blown piston after ​9 1⁄2 hours forced the car to retire. In 1988, four unutilised chassis numbers were put to use. With the approval of Aston Martin, four DB4 chassis were appropriately uprated to GT specifications. These chassis were then sent to Zagato's Milan workshop to be bodied like the originals, with a smaller oval grille, without the stock DB4 GT's rear tail fins, and with a smoothed out rear end. To familiarise the workforce with construction techniques of the 60s, an original DB4 GT Zagato was sent there to be dismantled. These "Works-Approved Replicas" were known as the "Sanction II" cars. They were outwardly identical, but several changes were effected in the interest of better handling. Each of these cars sold for over $1,000,000. Differences from the "originals" include a larger engine capacity, increased from 3.7 to 4.2 litres, and a smaller wheel diameter, reduced from 16 inches to 15. The first of the four GT-specification rolling chassis was delivered to Zagato in January 1989 and the fourth in April of the same year, with all four being completed in July 1991. All four cars were then given their own chassis numbers, fitting for the 1960s. Rolls-Royce Phantom in 1961 costed £7,000, in 1988 - $300,000. The Zagato factory still had two spare body shells left over after producing the Sanction II Zagatos. In 1992, Richard Williams approached the executive chairman of Aston Martin Lagonda Ltd, Walter Hayes, and sought approval for the spare body shells to be used to create two further "Sanction" cars. Walter Hayes gave his approval and the body shells along with two neglected Aston Martin DB4s (chassis №s DB4/0334/R and DB4/0424/R) were completed to form a pair of Aston Martin DB4 GT Zagato "Sanction IIIs" in the year 2000. Due to the huge popularity, very high price tag, great look and rarity of the DB4 GT Zagatos, many replica cars have been constructed based on DB4 and DB4 GT chassis. These replica (or recreation) cars bear a close resemblance to the original Zagatos, but were not made by the Italian Zagato company. ^ a b c "Supercars.net Aston Martin DB4 GT Zagato". Supercars.net. David Brown Engineering Limited is an English engineering company, principally engaged in the manufacture of gears and gearboxes. Their major gear manufacturing plant is in Swan Lane, Huddersfield and it is named after the companys founder, David Brown, though it is more closely associated with his grandson, Sir David Brown. Founded in 1860 as a manufacturing company by 1873 David Brown had begun to concentrate on gear systems. The company moved in 1902 to Park Works at Huddersfield, where the firm is based today and its foundry makes steel and non-ferrous castings. Including motor vehicles, ships as well as a range of British industry. In 1951 the Huddersfield and Tractor groups freehold land and buildings at Huddersfield, another 260,000 square feet of floor space were held under lease. 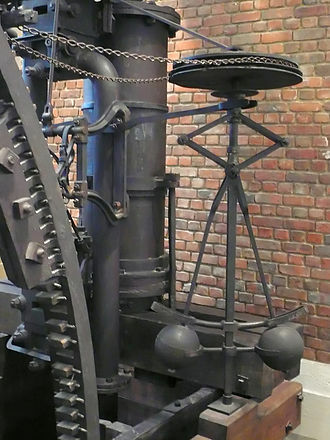 Gearing manufactured by David Brown Ltd. and powered by electric motors manufactured by Brook Crompton Motors, in 1913 they established a joint venture in America with Timken for Radicon worm drive units. By the end of World War I the workforce had increased from 200 to 1000 as they started building propulsion units for warships, by 1921 the company was the largest worm gear manufacturer in the world. In 1930 the company took over P. R. Jackson Ltd, another firm of gear manufacturers. Percys eldest son became managing director in 1931 following Percys death in June that year, W S Roe was appointed joint managing director with David but he died in April 1933. The firm formed another joint venture with Richardson Gears Ltd of Footscray. In 1934 the company moved into an old Silk Mill on a site at Meltham, Brown started building tractors with Harry Ferguson there in 1936. The first vehicle to use system was the Churchill tank, and it was subsequently used on the Centurion tank. Personally controlled since its inception by David Brown the first venture into tractor production was in a joint project with Harry Ferguson in 1936 building the Ferguson-Brown tractor. David Brown became one of the biggest British tractor manufactures in the post war period, with a manufacturing plant at Meltham. The company broke new ground which others were only to follow later, the Ferguson-Brown had a lot of innovative features, including the use of cast alloy for many the components, which was light but prone to damage. With headquarters in Findlay, Cooper Tire has 60 manufacturing, distribution and design facilities within its worldwide family of subsidiary companies. In July 1960, the became a publicly held corporation and was listed on the New York Stock Exchange. Cooper tires are most often sold by independent dealers, and can be purchased online, Cooper owns the UK-based Avon Tyres brand, which produces tires for motorcycles, road cars and for motor racing. The company slogan is The tire with two names, the company and the man who built it. The earliest corporate lineage for Cooper Tire was the M and M Manufacturing Company, founded in 1914 in Akron, Ohio by John F. Schaefer and Claude E. Hart and their new company produced tire patches, tire cement and tire repair kits. The Cooper name originates from 1919 when Cincinnati auto-parts dealer I. J. Cooper formed The Cooper Corporation in Findlay, the Cooper Corporation, the M and M Company, and The Falls Rubber company merged in 1930 to form the Master Tire and Rubber Company. The company name was changed to Cooper Tire & Rubber Company in 1946, the Cooper oval trademark with the Cooper Knight headgear was first registered and used in 1941. In those early years of the identification, the logo included a banner proclaiming the tires armored-cord construction. The companys red and blue logo would become one of the most easily recognized emblems in the tire industry, the U. S. government recognized the companys contribution to the war effort in a 1945 ceremony bestowing the Army-Navy ‘E’ Award. Soon after the war the name was changed to Cooper Tire & Rubber Company. From 1946 to 1982, Cooper Tire was headed by a member of the Brewer family, first W. B. Brewer, his sons, another son, was a vice president. Brewer took Cooper Tire public, and on July 11,1960, the company was listed on the New York Stock Exchange under the callsign CTB, throughout their tenure, the Brewers set a tone for hands-on leadership, management mingling with workers, and taking care of them. They built the trust and loyalty of the workers, under the Brewers leadership, Cooper Tire grew significantly. They are made of an elastic material formed into the shape of a helix which returns to its natural length when unloaded. Under tension or compression, the material of a coil spring undergoes torsion, the spring characteristics therefore depend on the shear modulus, not Youngs Modulus. A coil spring may be used as a torsion spring, the material of the spring is thereby subjected to a bending moment, either reducing or increasing the helical radius. In this mode, it is the Youngs Modulus of the material determines the spring characteristics. Metal coil springs are made by winding a wire around a shaped former - a cylinder is used to form cylindrical coil springs, types of coil spring are, Tension/extension coil springs, designed to resist stretching. They usually have a hook or eye form at each end for attachment, compression coil springs, designed to resist being compressed. A typical use for compression coil springs is in car suspension systems, volute springs are used as heavy load compression springs. A strip of plate is rolled into the shape of both a helix and a spiral, when compressed, the strip is stiffer edge-on than a wire coil, but the spiral arrangement allows the turns to overlap rather than bottoming out on each other. Zagato is an independent coachbuilding company and total design center located northwest of Milan in the Terrazzano frazione of Rho, Italy. The companys premises occupy an area of 23,000 square metres, Ugo Zagato began his coachbuilding career in 1919 when he left Officine Aeronautiche Pomilio to set up his own business in Milan. 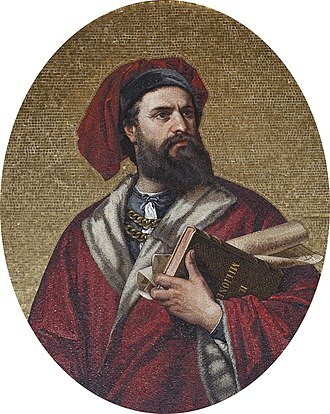 This was, “the construction and repair of bodies for automobiles and he did so with the intent of transferring sophisticated constructional techniques that combined lightness with strength from the aeronautics to the automotive sector. Cars of the time were bulky and heavy, Ugo Zagato conceived them as lightweight structures. This change in direction came to represent a chapter in the history of taste and saw, in Europe. During the 20s Zagato concentrated on racing cars, in the beginning of the decade he was asked by Alfa Romeo to dress some Alfa Romeo RLs. But in 1925 Vittorio Jano, Alfa Romeo’s Chief Engineer, asked him to create a body for the Alfa 6C1500, the Alfa Romeo P2’s heir, which should have been light and fast. Zagato, using his Aeronautics culture, succeeded in creating a sleek and light body for the car, the 6C1500 technical qualities were improved on the Alfa Romeo 6C1750, which was introduced in 1927. It was bodied in several versions and achieved victories in the Mille Miglia in 1929 and 1930. Enzo Ferrari started his career at Alfa Romeo in 1929 founded Scuderia Ferrari as the team for race Alfas. Also Bugatti, Diatto, OM and even Rolls-Royce were clients of Zagato since the beginning, thirty-six these decades, Zagato continued building a variety of aerodynamic cars. Thirty-six Zagato bodied cars were at the start of 1938 Mille Miglia, at the outbreak of the Second World War, Ugo Zagato escaped from Milan and sought refugee at Lake Maggiore. On 13 August 1943 a RAF bombing raid destroyed his coachworks in Corso Sempione road and he found new premises at Saronno, alongside the Isotta Fraschini works, on behalf of which he constructed trucks and military vehicles and a futuristic Monterosa. He returned to Milan at the end of the war and re-established his company and he searched for more spacious and more comfortable car greenhouses. Steering is the collection of components, etc. which allows any vehicle to follow the desired course. An exception is the case of transport by which rail tracks combined together with railroad switches provide the steering function. The primary purpose of the system is to allow the driver to guide the vehicle. Other arrangements are found on different types of vehicles, for example. The basic aim of steering is to ensure that the wheels are pointing in the desired directions and this is typically achieved by a series of linkages, rods and gears. The angle the wheels make with the plane influences steering dynamics as do the tires. The rack and pinion design has the advantages of a degree of feedback. A disadvantage is that it is not adjustable, so that when it does wear and develop lash, BMW began to use rack and pinion steering systems in the 1930s, and many other European manufacturers adopted the technology. American automakers adopted rack and pinion steering beginning with the 1974 Ford Pinto, older designs use two main principles, the worm and sector design and the screw and nut. Both types were enhanced by reducing the friction, for screw and nut it is the ball mechanism. The steering column turns a large screw which meshes with nut by recirculating balls and this design is still in use in trucks and other large vehicles, where rapidity of steering and direct feel are less important than robustness and mechanical advantage. 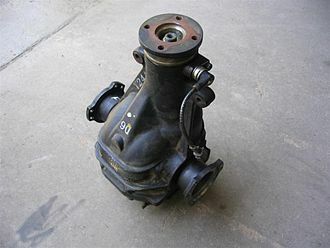 The worm and sector was a design, used for example in Willys and Chrysler vehicles. 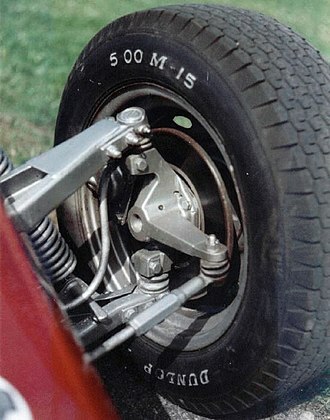 To reduce friction the sector is replaced by a roller or rotating pins on the rocker shaft arm, other systems for steering exist, but are uncommon on road vehicles. 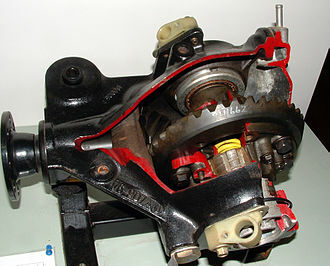 Power steering helps the driver of a vehicle to steer by directing some of its power to assist in swiveling the steered road wheels about their steering axes. To alleviate this auto makers have developed power steering systems, or more correctly power-assisted steering, there are two types of power steering systems and electric/electronic. A hydraulic-electric hybrid system is possible, a hydraulic power steering uses hydraulic pressure supplied by an engine-driven pump to assist the motion of turning the steering wheel. Sir Stirling Moss, OBE is a British former Formula One racing driver. In a seven-year span between 1955 and 1961 Moss finished as championship runner-up four times and third the other three, Moss was born in London, son of Alfred Moss, a dentist of Bray and Aileen. He was brought up at Long White Cloud house on the bank of the River Thames. His father was a racing driver who had placed 16th at the 1924 Indianapolis 500. Stirling was a horse rider as was his younger sister, Pat Moss. Moss raced from 1948 to 1962, winning 212 of the 529 races he entered, like many drivers of the era, he competed in several formulae, often on the same day. He preferred to race British cars, Better to lose honourably in a British car than win in a foreign one, at Vanwall, he was instrumental in breaking the German/Italian stranglehold on F1 racing. He remained the English driver with the most Formula One victories until 1991 when Nigel Mansell overtook him after competing in more races. Moss was one of the Cooper Car Companys first customers, using winnings from competing in horse-riding events to pay the deposit on a Cooper 500 racing car in 1948. He persuaded his father, who opposed his racing and wanted him to be a dentist, to let him buy it. His first major race victory came on the eve of his 21st birthday at the wheel of a borrowed Jaguar XK120 in the 1950 RAC Tourist Trophy on the Dundrod circuit in Northern Ireland. He went on to win the six more times, in 1951,1955,1958 and 1959. Also a competent rally driver, he is one of three people to have won a Coupe dOr for three consecutive penalty-free runs on the Alpine Rally. He finished second in the 1952 Monte Carlo Rally driving a Sunbeam-Talbot 90 with Desmond Scannell, in 1954, he became the first non-American to win the 12 Hours of Sebring, sharing the Cunningham teams 1. 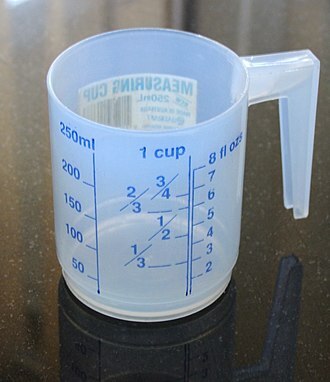 5-liter O. S. C. A. In 1953 Mercedes-Benz racing boss Alfred Neubauer had spoken to Mosss manager, Ken Gregory, having seen him do well in a relatively uncompetitive car, and wanting to see how he would perform in a better one, Neubauer suggested Moss buy a Maserati for the 1954 season. In the Italian Grand Prix at Monza he passed both drivers who were regarded as the best in Formula One at the time—Juan Manuel Fangio in a Mercedes, Ascari retired with engine problems, and Moss led until lap 68 when his engine failed. The boxy Zagato Zele electric microcar. Moss shared this Vanwall VW5 with Tony Brooks to win the 1957 British Grand Prix. Moss in his winning Lotus-Climax at the 1961 German Grand Prix. Side Lamp, King of the Road, "will not blow out in the toughest gale"
Stamp on military vehicle lamp - "J. Lucas LD patent Birmingham"
Hand-drawn diagram by James Watt (1808) in a letter to his son, describing how he arrived at the design. 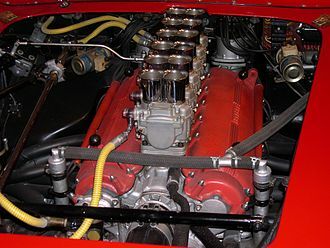 1961 Ferrari 250TR Spider engine fitted with six Weber two-barrel downdraft carburetors. 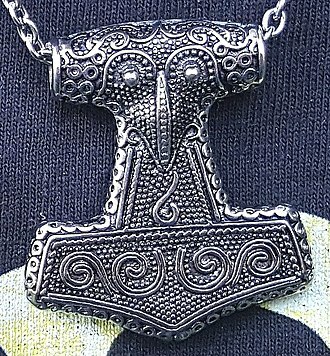 Replica of the Thor's hammer from Scania. The original find was created around 1000 AD.